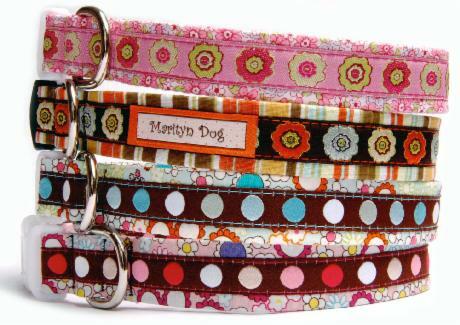 Marityn Dog"TM" offers dog collar, step in dog harness,dog leash, martingale dog collar, bandana dog collar for small dogs to large dogs. Our hand made products are made of high quality, stylish ribbons and printed fabrics sewn on durable and soft nylon webbing with hardware. 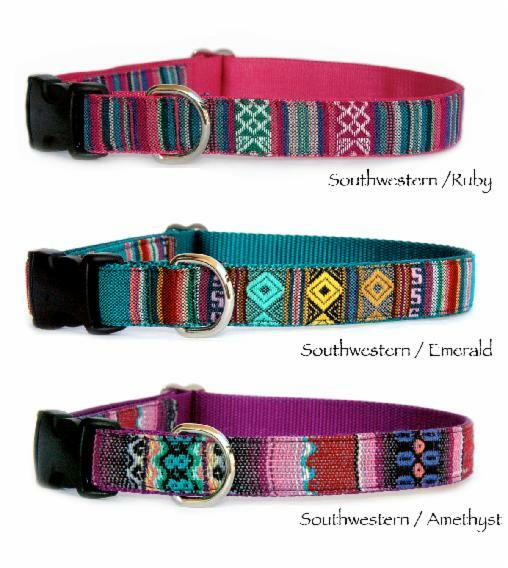 All of our products are Made in the USA and use animal friendly materials. (No leather or fur) You will experience luxurious dog products with unique & up-to-date styles Yet, practical and durable for every day use. 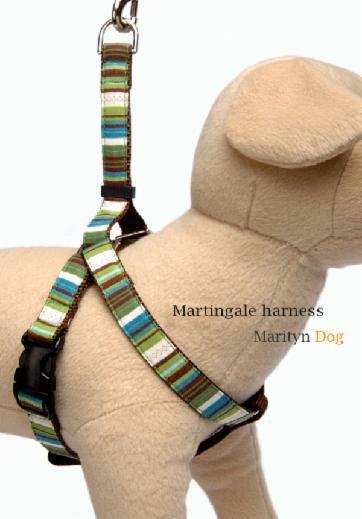 Marityn Dog’s Hugging Martingale harness will help preventing dogs from backing out of their harness. 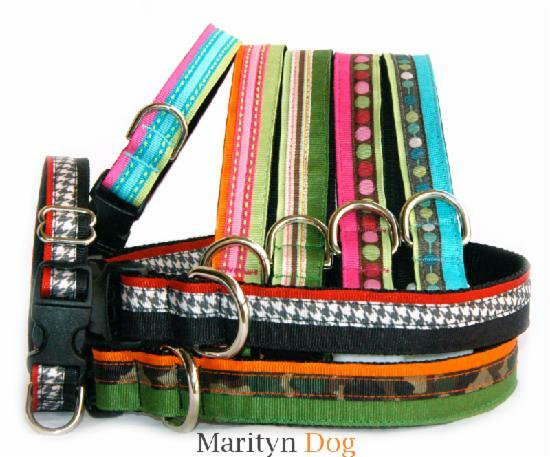 When dog start backing out, (on leash) this martingale harness is getting tighter. So it will make difficult for dogs to slip out from it. But they do not tighten down. You can adjust the length of straps with attached sliders making harness to have correct amount of ease and tightness. Double - faced collection provides two looks with ribbon on coordinating printed fabric on front & printed fabric on back. 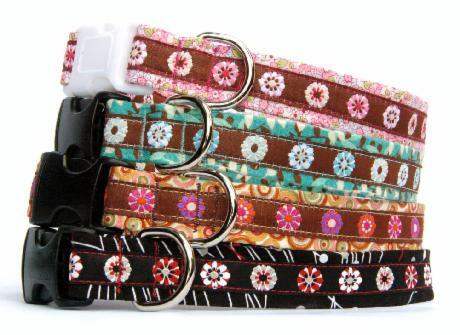 Leash has a comfortable nylon webbing soft handle in pastel, bright or basic solid colors. 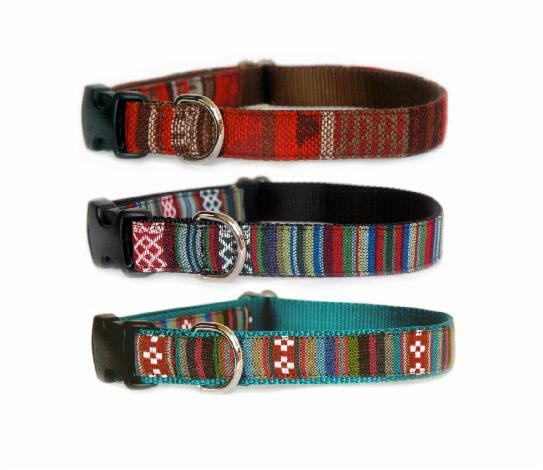 One of the kind products for fashion forward doggies. 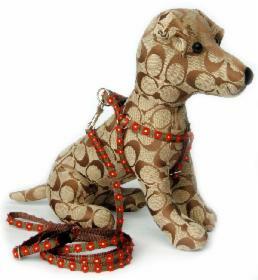 This collection is made for puppies, toy dogs and small dogs. 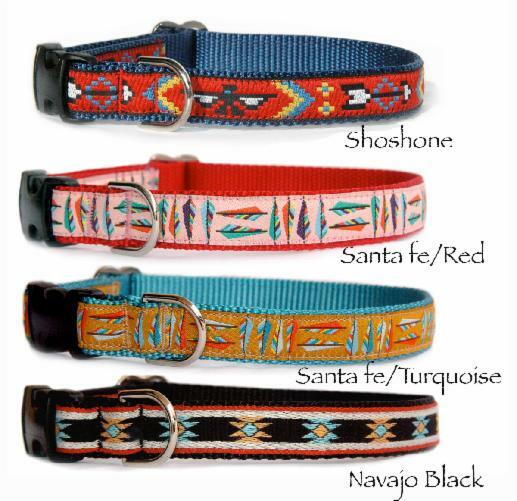 3/8" wide collars, step in harnesses & leashes come in 8 beautiful designs. 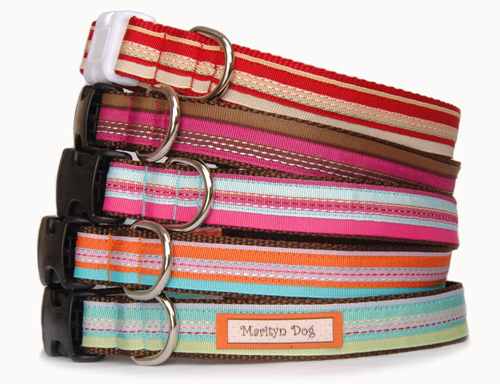 Stylish ribbons are sewn on soft nylon webbing then assembled by durable, light weight hardware for their comfort. 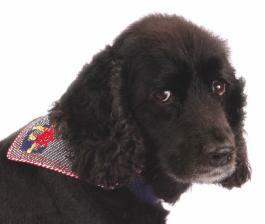 We offer cat's collar & harness in same design as well. Multi stitchgrosgrain ribbons has been always very popular. So we added new colors in this season! Not only looking good,it's durable and easy to take care of.These are "must have" basics in your store! 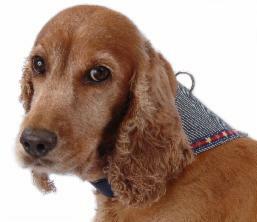 These bandana collars are always stays on top of dog's neck while it's on leash and you can adjust position of the buckle for your dogs comfort.